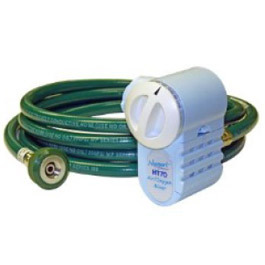 This is an optional accessory to the Newport HT70 Plus Ventilator. It is designed to blend atmospheric air with 50 psi medical grade oxygen. This part attaches to the Fresh Gas Intake Port on the Filter Cover(right side of the ventilator).